Richmond Park Church - A warm and welcoming, family orientated church, in Boscombe, Bournemouth. 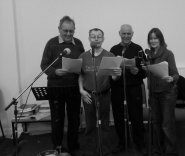 Richmond Park Church is a warm and welcoming, family orientated church, with passionate worship and lively Bible teaching; with a heart for reaching Boscombe, Bournemouth and further afield with the love of Jesus Christ. 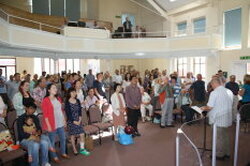 We are also privileged to be an international church, with over 15 nationalities worshipping with us. Want to know more about becoming a Christian? Take a look via the link above!